To coincide with their extensive autumn tour, Britain’s hottest male vocal group release the Platinum Edition of their Top 5 album ‘Good Ol’ Fashioned Love’. In addition to the twelve songs from the original album, the Platinum Edition has three brand new songs including their new single ‘Second Last Chance’ (released October 10th). ‘Second Last Chance’ is a vintage-pop song that, like the band themselves, mixes the tradition of American vocal groups with the best of classic, present-day British pop. With its swagger and bop, this new single fits in harmoniously with classics from their Top 5 album such as ‘Sh-Boom’, ‘Why Do Fools Fall In Love’ and their recent original single, ‘Gambling Man’. 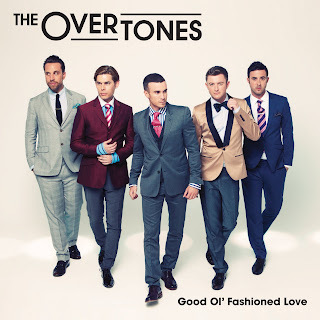 Having originally formed in 2006, it has taken them some time to get here, so of course now that they have arrived, The Overtones are raging with ambition. The tours are getting bigger, and they want them to be bigger still. On completing a sold-out tour in March The Overtones announced a national theatre tour in October, including such prestigious venues as the London Palladium which is already sold out.